Today is my son's 4th birthday - had I been induced in the morning instead of 11 p.m., he might have shared a birthday with Walter Elias Disney. But, instead, he has the date all to himself aside from all this great stuff - and Walt's younger sister, Ruth (and, we luckily missed the attack on Pearl Harbor by 1 hour!). Thanks to our trip scheduled just 2 short weeks before Noah's 4th, we decided we would celebrate while there. I added it to our reservation and made sure it was even noted in our dining reservations! Upon arrival and check in, our agent at the desk of the Art of Animation brought Noah his first Happy Birthday button (we ended up with a few more during the trip). And, thanks to a great agent, Zachary received a "I'm Celebrating" pin, as to not have sibling rivalry. BUT, we didn't bother putting it on him - he wasn't interested! In case you've never celebrated at Walt Disney World - there are buttons for everything - first visit, wedding, engagement, birthday, anniversary, graduation - everything! FREE!! Or, included in the already high price of a WDW vacation.. Wearing his pin, he was constantly being told "Happy Birthday, Noah" which confused him - he often responded with "Happy Birthday" though he eventually said "Thank you." 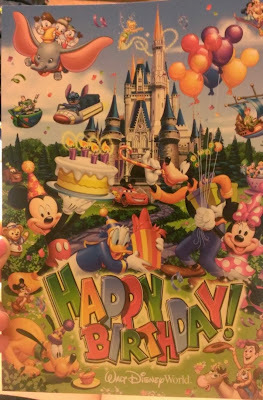 Beyond the pin and constant birthday greetings, we came back to our room on the 2nd night to find a signed Celebration Card from Mickey Mouse himself (and when I find it, I'll post a pic of it on facebook)! His own grey stuff and a birthday card signed by Belle and the Beast! 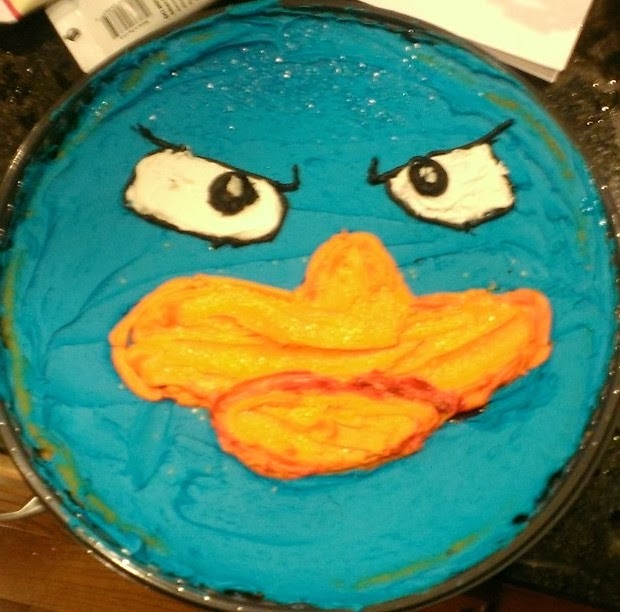 Not terrible for my first cake decorating attempt - I painted on a cookie cake! YUM! If you're interested in celebrating at Walt Disney World, I hope you'll consider letting me help you plan your magical vacation! Email me at jennl@thewdwguru.com or learn more about my agency and me at our company website! Looks like he had a wonderful birthday!! My favorite is the card. Makes you feel really special. I'm an Independent Agent specializing in Disney travel! Ask me for a FREE vacation quote! Win an HP Envy AND Chromebook! Tour of the Kingdom Flash Giveaway! Disney on Ice Presents Frozen!